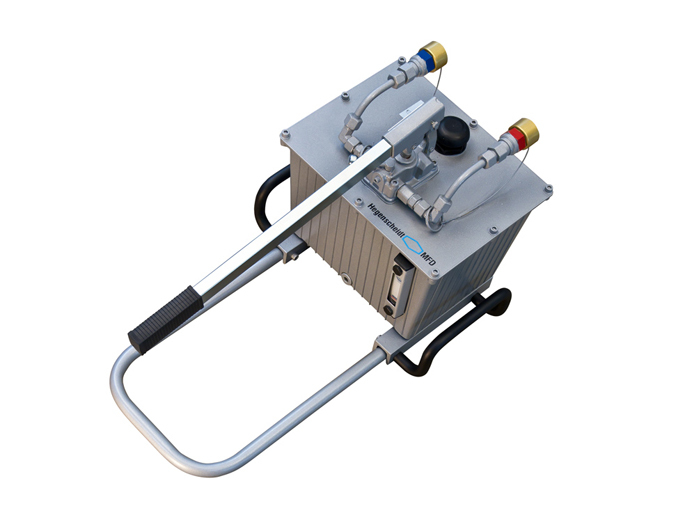 The hand pump is a complete unit for use in minor rerailing operations, especially where no separate power supply is available or when a pump set with combustion engine cannot be used due, for example, to the risk of explosion. 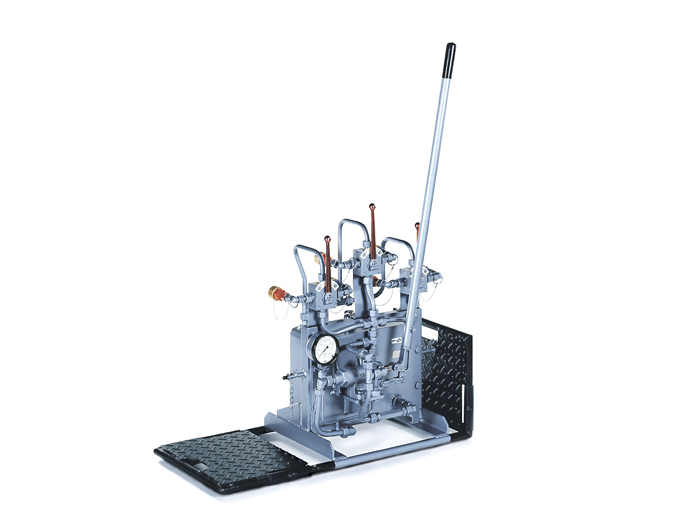 Due to the re-pressure system the hand pump can perform all functions such as lifting, lowering, pushing and pulling without restriction and with a full working pressure of 30 MPa. This hand pump is used primarily as emergency equipment to make rerailing possible in cases where no pump set is available. All nec- essary rerailing functions can be carried out at a full operating pressure of 30 MPa.